Rep. Paul Mosley, R-Lake Havasu City, during a traffic stop in La Paz County March 27, in which he allegedly was clocked driving at 97 MPH in a 55 mph zone. The text is a transcription of the audio from the body cam video of the deputy. Call it the Rep. Paul Mosley Act of 2018. Ducey’s order comes after news emerged earlier this month that Mosley was pulled over in March for going 40 miles per hour over the posted speed limit. Claiming “legislative immunity,” the Republican lawmaker from Lake Havasu City wasn’t ticketed for the March 27 incident, nor was he ticketed for several other moving violations in the past two years. But Ducey’s executive order clarifies that even with legislative immunity, elected officials aren’t exempt from Arizona’s laws. Public safety is paramount, Ducey said in a statement. Specifically, Ducey’s order says law enforcement officers may cite elected officials that incur criminal traffic violations such as reckless driving, criminal speeding and driving under the influence. 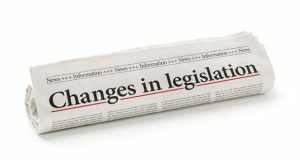 His decree also specifies that legislative immunity only applies during the legislative session and the 15 days leading up to the start of the session. Under state statute, Mosley could have been cited for criminal speeding on March 27 for traveling more than 20 miles per hour over the speed limit. The immunity clause in the Arizona Constitution bars lawmakers, legislative staff and aides from being arrested, prosecuted or sued for legislative acts. Immunity typically applies to any type of legislative action related to introducing, drafting and voting on legislation. It does not, however, prevent a lawmaker from being cited or arrested for an incident that isn’t related to the legislative process during the legislative session. With the fallout of the recent Mosley incident, law enforcement agencies across the state have sought guidance on specifically how and when legislative immunity applies. Arizona Department of Public Safety Director Col. Frank Milstead sought clarity on the immunity provision from the attorney general’s office, according to KTAR. In a radio interview this morning, Attorney General Mark Brnovich said legislative immunity is not an excuse to act irresponsibly or break the law. “I think most hardworking Arizonans do not think that we should have one set of rules for our legislators and another set of rules for everyone else,” he said. Ducey cautioned Mosley against speeding on Arizona’s roads this week, but did not call for the lawmaker to resign or drop his re-election bid.